Sarah Dodds was elected to represent Louth North in the Lincolnshire County Council elections on May 2nd. 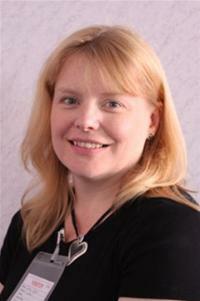 She also represents Priory Ward in Louth at the district council level. Following her most recent election victory I was able to ask her a few questions about local politics and council services. Ros: To what do you attribute your success in the election on May 2nd? Sarah: In terms of my own success, I put it down to real disillusionment with both the Tory government and county council locally. People do not feel listened to. They want someone who is committed to listen and act, and someone to stand up for them locally. I can commit to that whole heartedly. People in Louth were not tempted by UKIP in a large way because they could see that in John and myself there were excellent local Councillors. Labour has a good track record in Louth of giving the town wonderful Councillors who work hard for the town and for individuals. I am proud to be part of that team. I am also indebted to Lesley Hough who is the best election agent in political history, to John Hough for being a very wonderful, caring, political mentor and to my husband and kids who supported me incredibly through the campaign. I also relied on my parents and friends for babysitting and a wonderful group of people who helped with leaflets etc. I am in debt to quite a few people - I will cringe when the favours start to be called in! Ros: What concerns did people raise whilst you were on the campaign trail? Sarah: Potholes, training for young people, care for vulnerable adults, green waste, housing, bedroom tax, parking, trade, .....you name it! Ros: Potholes seem to be a huge issue at the moment. Are you prepared to raise council tax to tackle this, or will it mean cutting into other services? Sarah: Potholes - I do want to see them fixed, but not at the expense of other key services, particularly to the most vulnerable. I will be looking very closely at how budgets within the county council are shared out, and in particular looking for further ways to move money to key priorities. Ros: You've been a big advocate of the campaign to prevent schools taking up academy status. With a lot of Lincolnshire schools moving to academy status and out of county council control, what challenges do you think this poses to the council's management of those that remain in its system? Sarah: The county council must issue a very strong message to it's existing schools - we want you to stay with us. We still have a critical mass of primary schools, and we must be looking at these and really promoting our desire to keep them. Ros: Library services, and particularly the mobile libraries, are under threat in these difficult times. As a former teacher, will you be making it a priority to fight to preserve them? Sarah: Too darn right I will!! Ros:The district council contributes to a lot of tourist-centred festivals like the SO Festival, Wolds Words, and so on. Do they represent good value for money? Sarah: I am a big advocate of all of the festivals in ELDC. They are still very new, but show real imagination and flair for educational, cultural and economic development. I genuinely think that they could turn out to be real game changers for the region and for individuals here. However, I am open to new ideas about how they are delivered. Once they are established and strong we need to look at how we deliver them in a way that is true to the ethos behind them, but also in a way that is sustainable. Ros:The county council is facing increased landfill taxes, but ELDC have proposed charging for green waste. Some people fear that this would lead to increases in fly tipping. Should people be encouraged to compost instead of being asked to pay extra for this service? Sarah: Yes to composting, NO to green waste charging. All this will lead to is the stupid spectacle of lorries doing virtually the same route around the region to collect less bins. It will cost the council far more in the long run than it will ever save. Ros:County council income has fallen, some costs have risen, and the economic climate is pretty grim. This has led the council to squeeze out any services it deems non-essential. In 2013, is there any fat left to trim? The new councillor for Trinity ward talks about policing, potholes, and the need to engage people in local politics. The author of "Birds of Louth" discusses birdwatching, Louth, and why "the future looks bleak for all life on Earth".